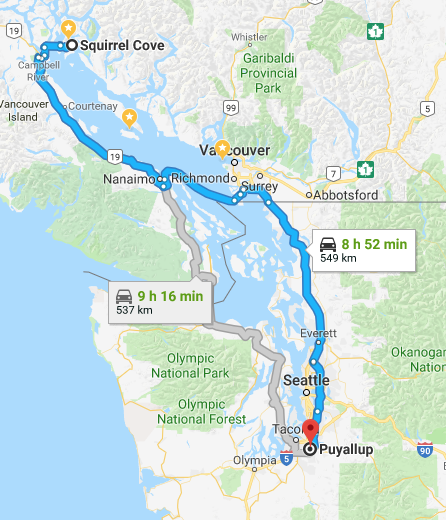 Its almost 550 km from Squirrel Cove, on Cortes Island, to Puyallup, Washington by car, but centuries by canoe. 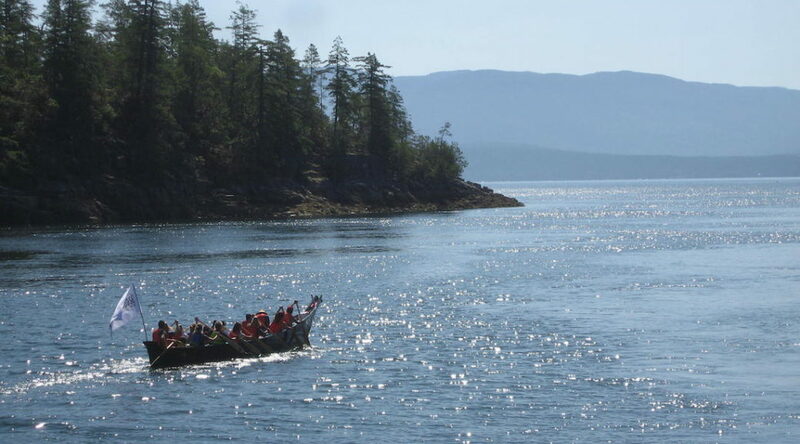 In 1884 the Canadian Government joined in a conspiracy to destroy the canoe traffic that had been plying coastal waters, from Alaska to California, since the beginnings of oral tradition. First Nations people were restricted to their reserves and had had to obtain permission to leave. The reawakening started almost 30 years ago, in what has since become an annual event. A different nation hosts the gathering every year and this summer the gathering is at Puyallup. 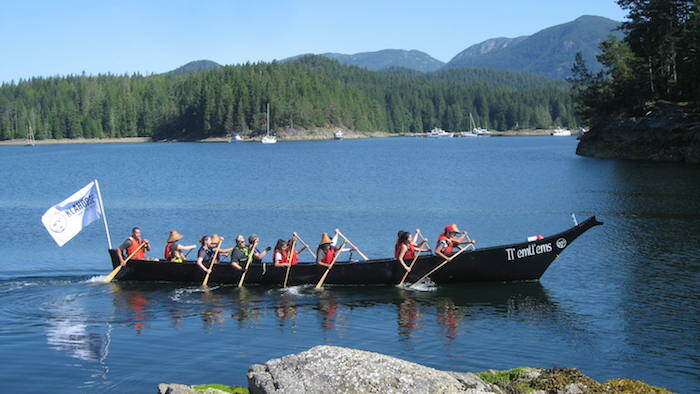 The Klahoose canoe Tl’emtl’ems left Squirrel Cove at 10 AM this morning. There were perhaps three Klahoose people at the departure. Ken Hanuse led the assembly in a chant and Norman Harry gave a traditional prayer. In keeping with a appears to be custom handed down from pre-contact times, the Coast Guard vessel accompanying Tl’emtl’ems to Tla’amin today was presented with a woven blanket and every crew member was given a piece of fabric. 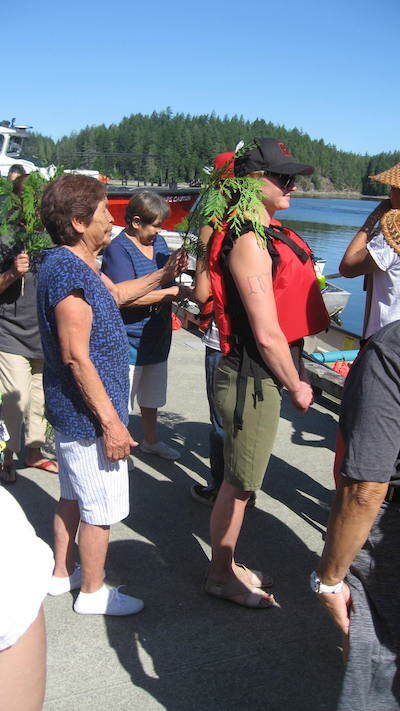 Then the heads of every family participating, as well as every paddler on this first leg of this journey, was brushed with a cedar branch – which is both a blessing and a protection for the journey. 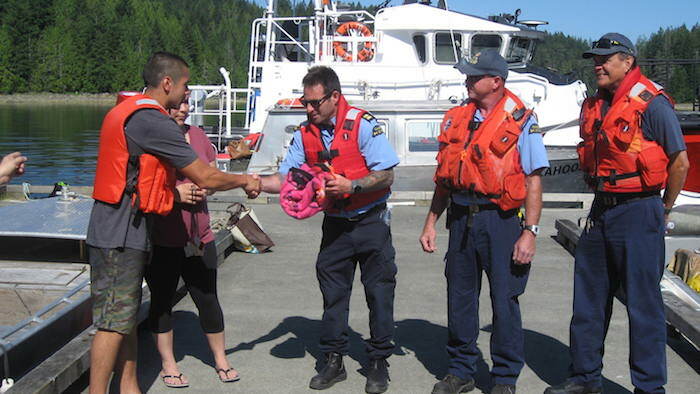 Laurie Mathieu, captain of the Tl’emtl’ems, presenting the Coast Guard with a blanket – Roy L Hales photo. 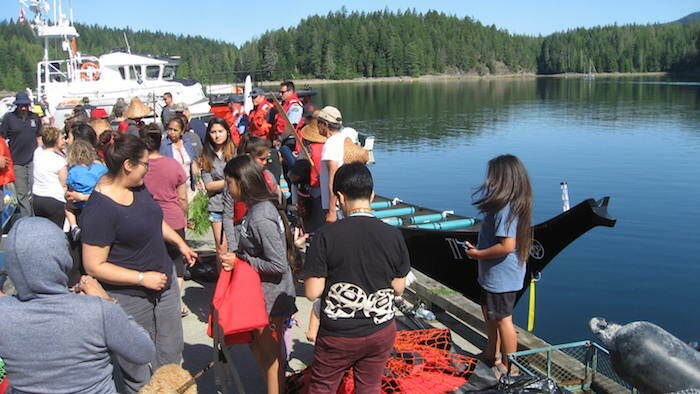 From Tla’amin, the canoe will proceed south to Nanaimo, Ladysmith and eventually Esquimalt. There some of the Klahoose will have to turn back, as they do not have passports, and the rest will enter the United States. They will arrive at Puyallop on August 4, 2018. You can learn more about the Paddle to Puyallop in a story I put together for Cortes Radio’s Deep Roots program. There is more information about the gathering at the Paddle To Puyallop website. 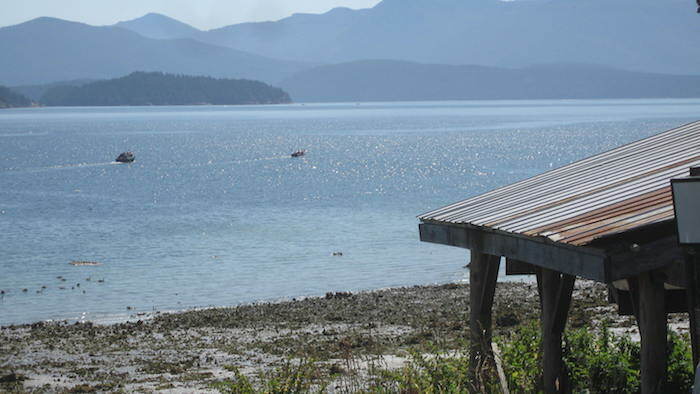 See Cortes Radio’s series on local First Nations culture, island history, and environmental issues.